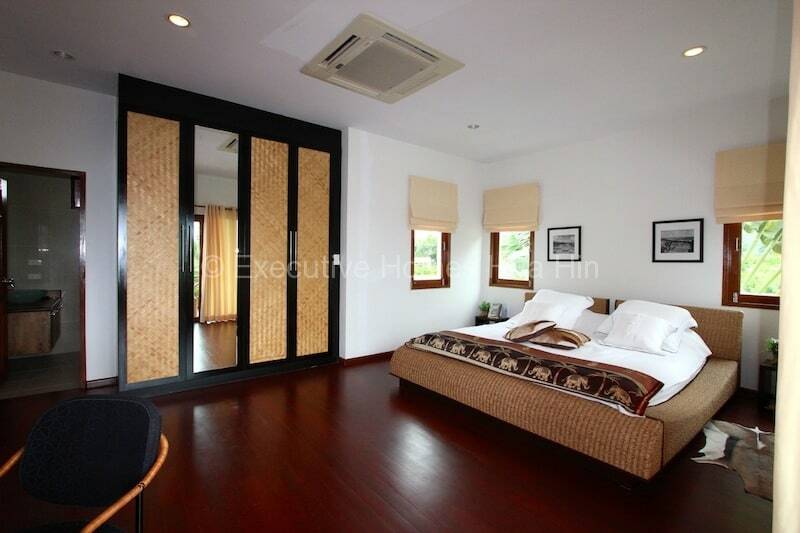 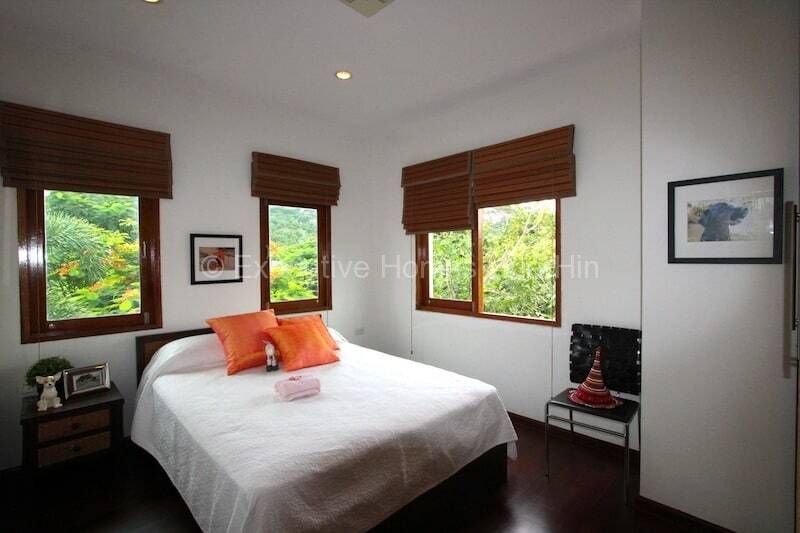 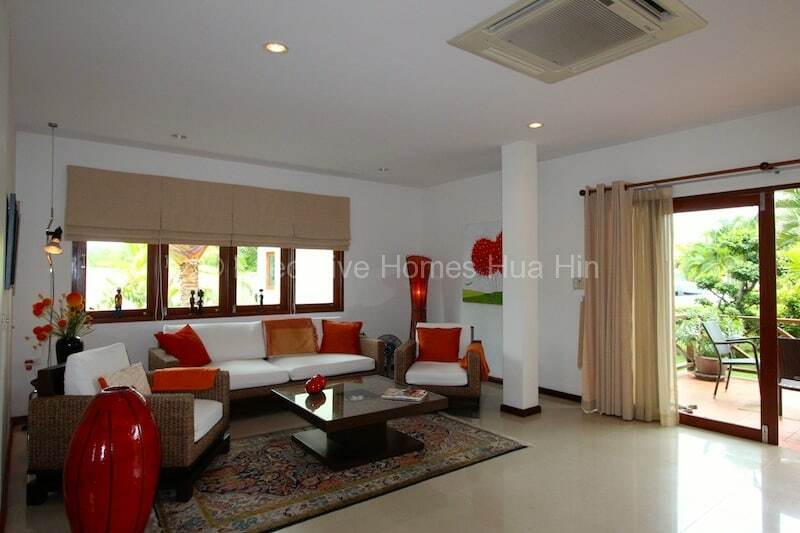 Are you looking to buy Kao Tao Hua Hin house near the beach? 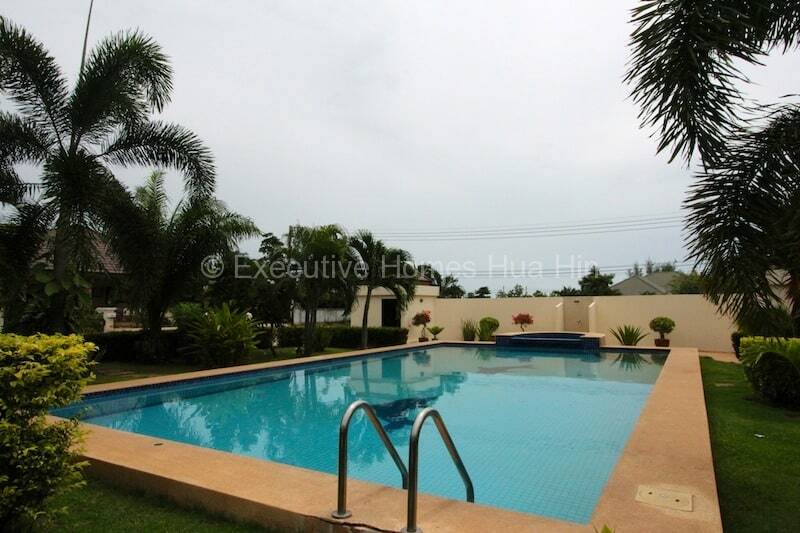 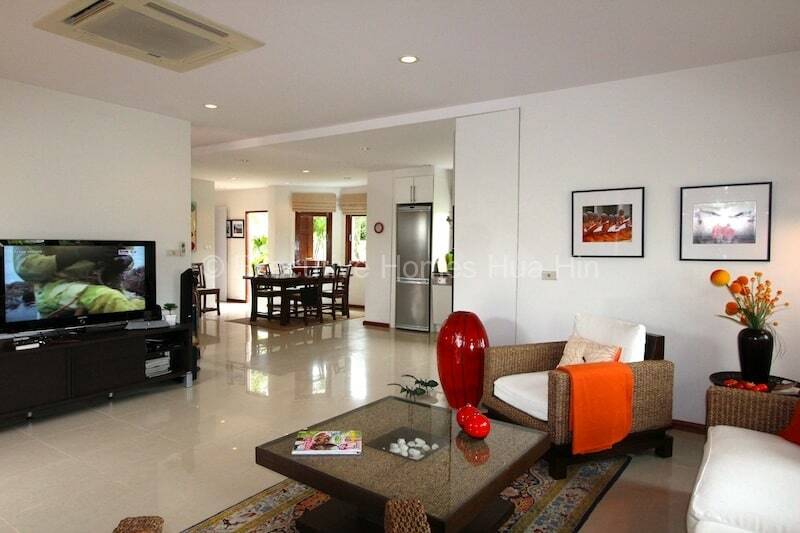 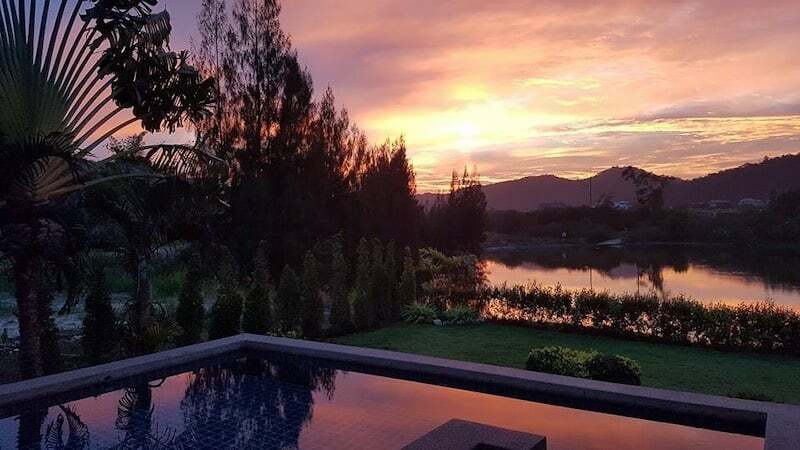 This Beautiful Hua Hin real estate and private pool villa is within walking distance to Sai Noi beach in Kao Tao. 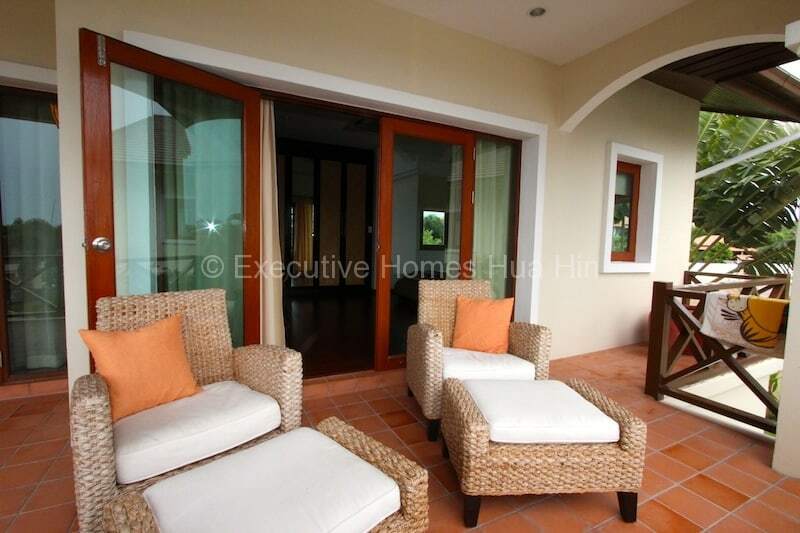 This two story 3 bedroom villa is well decorated and smartly laid out, with the bedrooms on the top floor, the master with a lovely balcony and an en suite bathroom. 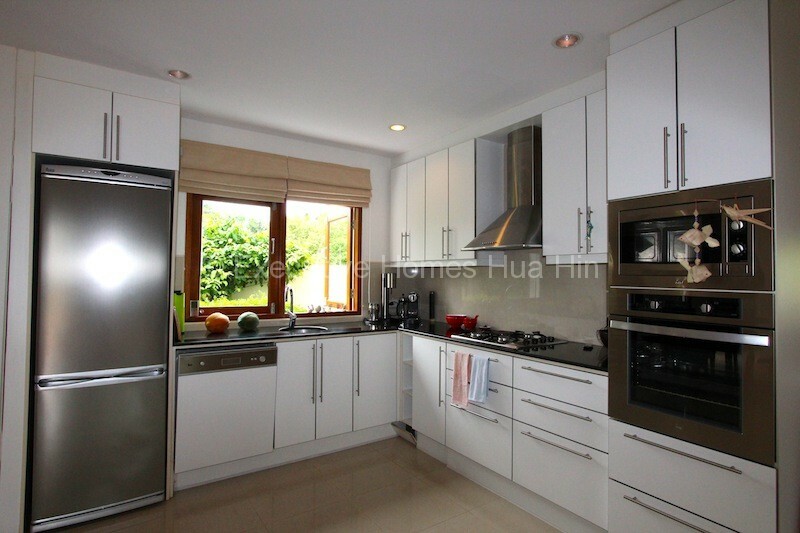 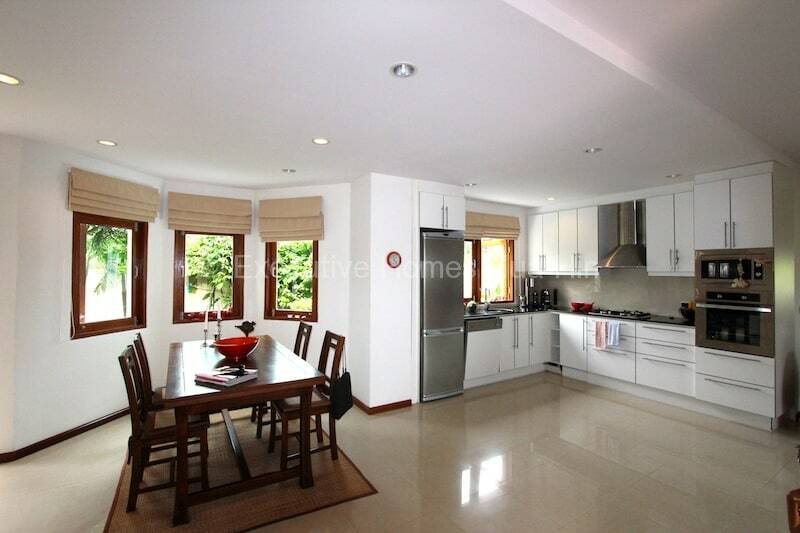 There are nice open plan kitchen, living and dining areas on the first floor and an additional guest bathroom. 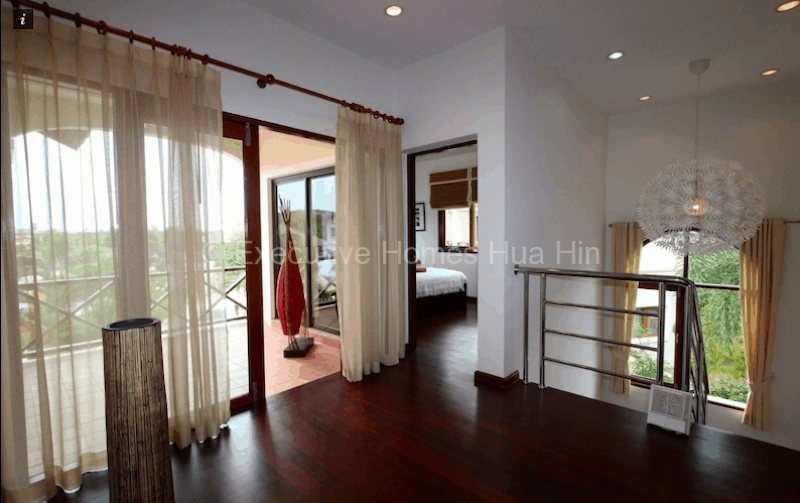 Balconies grace both floors, and on the second floor there is access from the landing and from the master suite, providing a lovely breeze throughout the day. 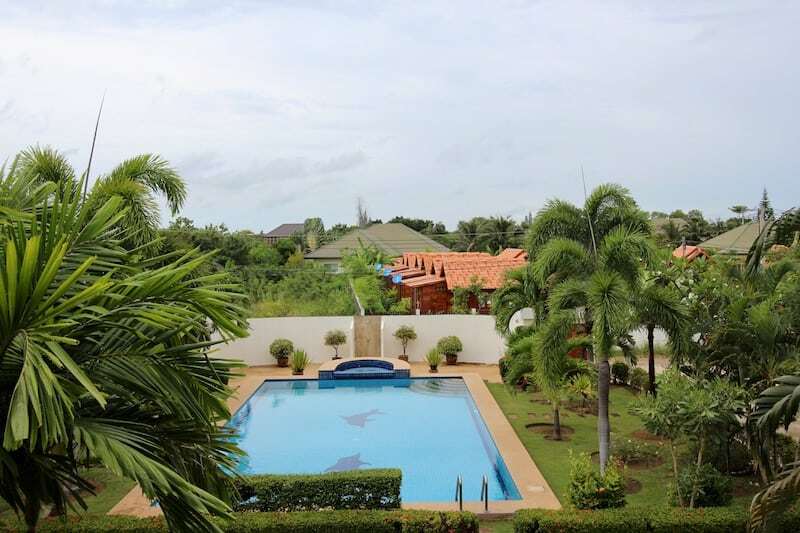 The house enjoys a beautiful private garden and a covered sala and barbecue for a tropical feel. 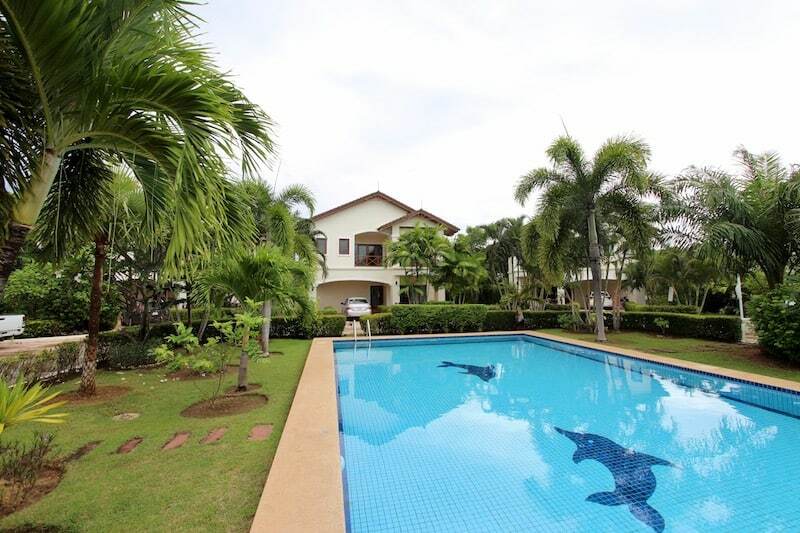 The large pool is only meters away and shared among the small community of 6 houses.